Asphalt melting kettles and vehicles carrying propane must be labeled according to laws set forth by the highway patrol. “Hot” #3257 placards are required two per kettle and must be posted on opposing sides. Labels are required on all four sides of 845 gallon kettles or larger. 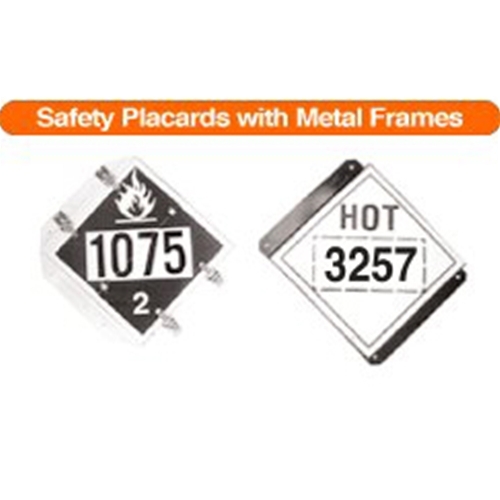 Propane “1075” placards are required on vehicles carrying propane tanks. Available mounted on metal frames or as separate decals.